Since 2014, I’ve visited the Boundary Waters annually. The most impactful experience I’ve had in the BWCA was a two-week trip I took in 2015. I spent those two weeks with total strangers, paddling and portaging from lake to lake. During each nighttime talk and every mid-day lunch stop, I fell in love with the way the undisturbed waters can humble you and can bring you closer to those around you, including yourself. I came back from the trip feeling extremely nostalgic, empowered and complete with a need to return to the waters. Each year my passion for the natural landscape of the Boundary Waters grew. I learned that in 2014, the same year I started going to the BWCA, a Chilean mining company began efforts to build sulfide-ore copper mines on the edge of the Boundary Waters. These mines have a history of polluting surrounding waterways and the Superior National Forest holds 20 percent of the National Forest system's fresh water. Polluting what one of the natural treasures of Minnesota would devastate the water that people come from across the country to see. These people hire outfitters and rent canoes from Ely-based camps and business. I went to Ely and Grand Marais for the recreation and culture of the Boundary Waters, and I didn’t want to see this national treasure be polluted. I found out about the Campaign to Save the Boundary Waters just after I had returned from the area. I couldn’t stand to see something that I had come to love be polluted for the profits of a mining company. I and another 126,000 people made comments to the Forest Service during an ongoing two-year study to learn about the potential risks of a sulfide-ore copper mine on the edge of the Boundary Waters, telling them why I want to see the Boundary Waters protected. The Forest Service and our elected officials want to know what we think of this, and now is the time to speak up for this quiet place. Sign the petition to Save the Boundary Waters here, and the Campaign to Save the Boundary Waters will tell your elected officials that we all want to see the Boundary Waters protected from mining on the Wilderness edge. I want to be able to keep going to a place that so many Minnesotans love, use and need to keep protected for the next generation of Americans, so let your elected officials know today. Please join us at Dunn Brothers this Sunday, 12/10, at noon for a discussion about permanent protection for the Boundary Waters from sulfide-ore copper mining. Will Lyman is a junior at the Blake School and a Wilderness Warrior with the Campaign to Save the Boundary Waters. Interested in volunteering on a regular basis? Sign up to be a Wilderness Warrior here! Saganaga Lake is famous for being the end of the Gunflint Trail and the northernmost lake on the eastern side of the Boundary Waters. 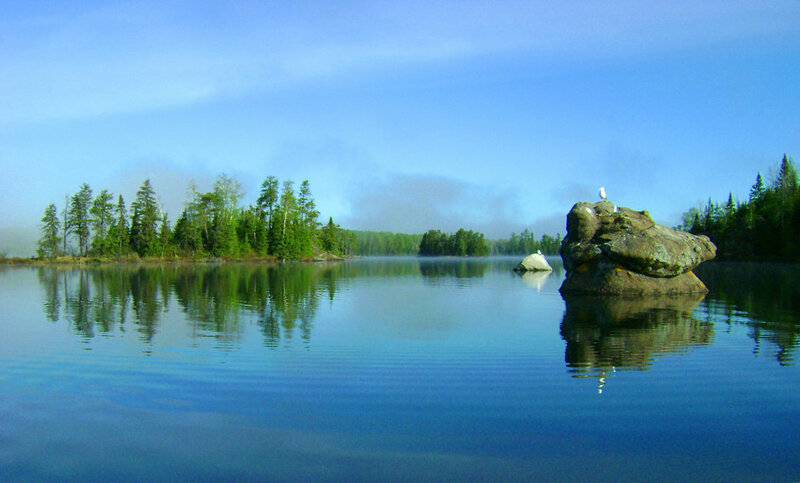 As one of the largest lakes in the Boundary Waters, Saganaga is also known for its many confusing islands. With 78 maintained campsites, there are plenty of great places to camp on “Sag” for whatever you’re looking for. Saganaga falls, in the northeastern corner of the lake, is great for fishing, and a classic end to a trip along the Granite River to the east. In the same northeastern corner, there are awesome campsites perched on granite cliffs looking into Canada. Heading west from the entry point toward American Point, you can stop at Englishman Island and then head south toward Red Rock Bay or north toward Canada. At the beginning of Quetico Provincial Park you can stop on an island in Cache Bay to register for day permits, or continue further into the park via Silver Falls. Heading further west into Saganaga takes you along the Canadian Border via Swamp Lake and the Monument Portage into Ottertrack Lake. “Sag” is a massive lake that is often times windy, but there are plenty of outfitters who can pick you up or drop you off via motor to make the crossing less difficult. Leaving a car at the end of the Gunflint Trail then entering the Boundary Waters further towards Grand Marais makes Saganaga an ideal end to a long trip, so make sure to stop by on your next trip to the Boundary Waters! Miron “Bud” Heinselman developed a deep-rooted passion for fire ecology in the 1940s. Along with this, he was a man with a longtime love of the Boundary Waters and a fierce determination to preserve it. Bud’s enthusiasm for both of these causes would prove useful when he eventually found himself entwining his knowledge of the two to advocate for the Boundary Waters to be recognized as a designated Wilderness area. While he was always an ally of nature, it was in the late 1940s that Bud first began to be recognized for his research and conservation efforts. At this time, Bud immersed himself in research about previous northeastern Minnesota wildfires with special attention to their seriousness and density. As a research scientist for the U.S. Forest Service he grew to become one of the world’s leading names in fire ecology. 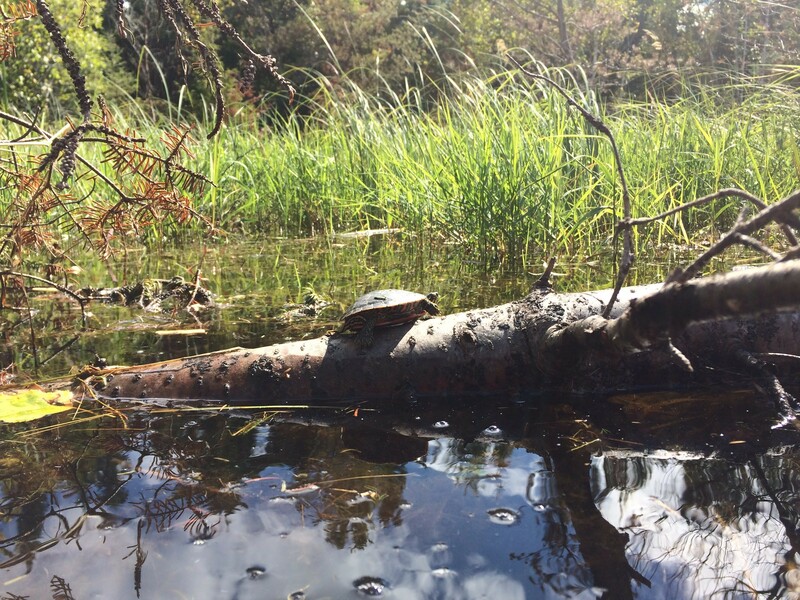 Due to the many days he spent paddling on the pristine waters of the Boundary Waters, Bud was especially interested in banning logging and allowing the forest to burn and die out on its own, without the Forest Service stepping in. Moreover, his time as a researcher enabled him to have a deeper understanding of the Boundary Waters’ ecosystem than most and interpret the role of fire in its development. Beyond his work in BWCA fire ecology, Bud spent many of the later years of his life fighting for the conservation of the Boundary Waters, and he stuck to his belief that the best way to do this was by sanctioning the area as a Wilderness. While once a member of the Izaak Walton League of America, Bud was most known for his role in forming Friends of the Boundary Waters Wilderness alongside other environmentalists. During his time as chair of the organization Bud worked to push through legislation for protection of the Boundary Waters. 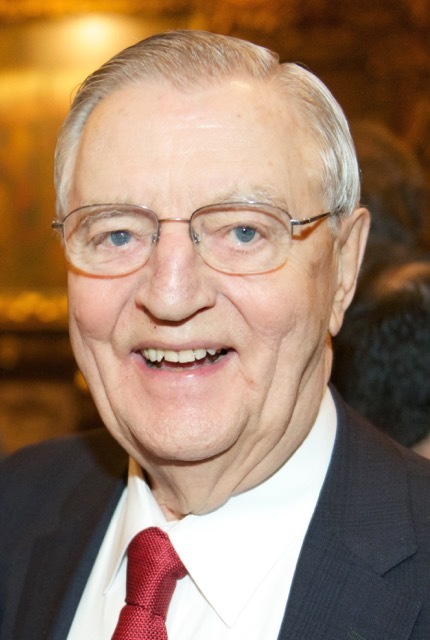 He found success in 1978 when President Carter signed the Boundary Waters Canoe Area Wilderness Act into effect, which was particularly significant in ridding the area of logging and placing restrictions on mining in the area. Bud was a man well aware of the power of knowledge and used his intellect as his greatest weapon in the fight to preserve the BWCA. It is difficult to ascertain what the state of the Boundary Waters would be today were it not for his unwavering resolve and plentiful research. He is an excellent example of what it means to be a Wilderness warrior, and we find ourselves with a responsibility to ensure his work was not in vain and the Boundary Waters remains as beautiful and untouched as he always knew it to be. It is for leaders such as Bud who have protected the Boundary Waters for our generation that we work to conserve it for future generations, and also like Bud, we will not give up. H.R. 3905 is a dangerous bill proposed by Tom Emmer. What follows is a short summary of the bill to help you better understand what this legislation means for Minnesota. H.R. 3905 was introduced on October 5, 2017 by Rep. Tom Emmer (R-MN), and if passed it would eliminate environmental laws and overturn science-based decisions that currently protect the Boundary Waters and the Superior and Chippewa National Forests. H.R. 3905 would automatically grant Twin Metals Minnesota LLC (a wholly-owned subsidiary of Chilean copper mining company, Antofagasta) two federal mineral leases covering 5,000 acres of Superior National Forest lands. The leases would cover lands along and underneath rivers and lakes that flow into the Wilderness. Last December, the U.S. Bureau of Land Management (BLM) rejected a request to renew the two leases after the U.S. Forest Service withheld its consent to renewal. Peer-reviewed science published early in 2016 concluded that under ordinary operating conditions, sulfide-ore copper mining in the watershed would pollute the Boundary Waters. H.R. 3905 would undermine the National Environmental Policy Act (NEPA) by eliminating NEPA’s requirement of environmental review before any decision is made to renew federal mineral leases in the watershed of a National Wilderness Area. Ordinarily, a federal proposal to renew a federal mineral lease is categorically excluded from NEPA’s environmental review requirement. There is an exception, however, that applies if the proposal to renew federal mineral leases might affect a federally-designated Wilderness Area. The U.S. Forest Service cited the risk to the Boundary Waters when it declined to consent to renewal of Twin Metals’ leases last year, and peer-reviewed published science makes clear that the Twin Metals leases, if renewed, pose an inherent risk of toxic pollution to the Boundary Waters. Therefore, any renewal of Twin Metals now-expired leases would have to undergo a full Environmental Impact Statement (EIS) as required under NEPA. The passage of H.R. 3905 would grant the Twin Metals mining leases without the required EIS under NEPA and without an opportunity for public input. Instead, H.R. 3905 directs there be a 30-day environmental assessment (EA) before automatically granting lease renewals. An EA is not an EIS; 30 days is not enough time to do an environmental review; and NEPA requires environmental review to inform a later decision, meaning a foregone conclusion to grant leases regardless of the environmental review is totally contrary to NEPA. H.R. 3905 would void the U.S. Forest Service’s Record of Decision (ROD), which explains the facts, science, and public input on which the Forest Service based its decision not to give consent to renewal of Twin Metals’ mineral leases. In the ROD, the Forest Service explained that after reviewing the facts, science, and public input including meetings with elected officials around the state, it would not consent to renewal of the leases due to the inherent risk that sulfide-ore copper mining would cause serious pollution to the Boundary Waters -- pollution that could not be prevented or mitigated. The Forest Service further explained that it is obligated by the 1978 BWCA Wilderness Act to manage the Superior National Forest protect the waters of the Boundary Waters, and that that requires protecting waters that flow into the Wilderness. H.R. 3905 would make all mineral leases issued in the Superior and Chippewa National Forests in Minnesota perpetually renewable. The bill mandates an initial 20-year lease term with automatic 10-year renewals in perpetuity. This would eliminate the consent rights of the Forest Service for lease renewals, the discretionary authority of the BLM, and NEPA’s requirement for open scientific analysis and public input. The bill would override the 1946 and 1950 laws that make clear that no federal minerals can be leased in the Superior and Chippewa National Forests without the consent of the U.S. Department of Agriculture - Forest Service. The 1950 law requiring consent applies to public domain lands (those that have been in U.S. ownership since 1854), and the 1946 mineral law applies to acquired lands. Public domain lands constitute 90% of relevant Superior National Forest lands. Acquired lands, which were purchased for watershed and timber supply protection, make up the remainder. Both laws make clear that federal mineral leases can only be granted if the Secretary of the U.S. Department of Agriculture consents to the leasing. The 1946 Act directs that mineral leasing on acquired lands can only occur if the Secretary of Agriculture advises the Secretary of the Interior, “that such development will not interfere with the primary purposes for which the land was acquired and only in accordance with such conditions as may be specified by the Secretary of Agriculture in order to protect such purposes.” H.R. 3905 overrides the 1946 law because it is clear that sulfide-ore copper mining would interfere with watershed protection. The bill would amend the 1906 Antiquities Act by mandating Congressional approval for any national monument designations in the Superior and Chippewa National Forests. The Antiquities Act of 1906 gives the President of the United States the power to establish National Monuments, a power that has been used by Democratic and Republican presidents alike over the past 110 years. H.R. 3905 strips the President’s authority so that it no longer applies to Minnesota. This is a very dangerous precedent, that, if passed, would place Minnesota beneath all other states, would weaken the Presidency, and could lead to the state-by-state gutting of the Antiquities Act. The bill would amend the 1976 Federal Land Policy and Management Act (FLPMA) by mandating Congressional approval for mineral withdrawals in the Superior and Chippewa National Forests. The Forest Service, in consultation with the BLM, is in the process of conducting a two-year study on a possible federal mineral “withdrawal.” The withdrawal would put 234,328 acres of federal land located on the Superior National Forest and within the Boundary Waters watershed, off-limits to new mineral leasing and exploration permits for up to 20 years. Current law, in FLPMA, empowers the Secretary of the U.S. Department of Interior to order a withdrawal of federal land for up to 20 years. H.R. 3905 would strip the Secretary of his power to order a federal withdrawal in Minnesota. Instead, any proposed withdrawal by the Secretary of Interior on federal lands in Minnesota would also require Congressional approval. This bill puts the fate of the Boundary Waters in the hands of a Chilean mining conglomerate, Antofagasta, which owns Twin Metals Minnesota LLC. Antofagasta has a devastating record of environmental pollution at its South American copper mines,including a $23 million fine for water pollution at its flagship copper mine in Chile’s Atacama desert (one of the driest locations on Earth). Antofagasta also has a history of labor strife, and of taking more water than permitted. Andronico Luksic - the head of Chile’s wealthiest family and owner of the Luksic Group, which controls Antofagasta - has a documented history of doing big-money favors for Presidential family members in Chile and the U.S. Neither Antofagasta nor its subsidiaries has ever operated a copper mine in a water-rich place such as the Superior National Forest. The mines that Antofagasta/Twin Metals wants to build would be in the headwaters of the Boundary Waters, the only significant lakeland Wilderness Area and the most visited Wilderness in America. It’s November, 2017, a day before Thanksgiving, and we are squarely in the middle of the fight to save the Boundary Waters Canoe Area Wilderness from the threat of sulfide-ore copper mining next to and upstream from the Wilderness. This is a good time to recall that the Superior National Forest, and the Boundary Waters within it, exist today only due to an unbroken chain of preservation efforts, beginning with Minnesota’s first Forestry Commissioner Civil War veteran, General Christopher C. Andrews. For some of us, the current fight to prevent sulfide-ore copper mining in the watershed of the Boundary Waters is all we know of the 115-year-long episodic contest between those who would protect the Boundary Waters for all time, and others willing to break, consume and risk its pollution to extract an immediate, limited and narrowly-shared cash benefit. We are on the right and selfless side of this contest, and thank goodness for the seasoned advocates alongside us who also fought and helped win earlier battles. Specifically, the years-long efforts that led to passage of the 1978 BWCA Wilderness Act, and before that, the 1964 Wilderness Act itself. We owe them our thanks. First on the list of those to whom we owe thanks is General C. C. Andrews, who took the first decisive steps to protect what is now the Superior National Forest and the Boundary Waters. A Civil War veteran who enlisted at the start of the war as a private in the Third Minnesota Infantry, C. C. Andrews rose quickly through the ranks and was honorably discharged in 1866 a Brevet Major-General. Born in New Hampshire, Andrews studied law at Harvard, passed the bar, moved to Kansas Territory and then to Minnesota, where he opened a law practice, operated a newspaper and won a seat in the Minnesota Senate. Upon his discharge from the Army, he briefly returned to his law practice in St. Cloud, served two stints as a diplomat (U.S. Minister to Sweden and Norway from 1869-1877; Consul General in Rio de Janeiro from 1882-1885) and upon returning to Minnesota, was appointed Minnesota’s first Forestry Commissioner. As Forestry Commissioner from 1895 to 1911, General C. C. Andrews advocated scientific forest management and responsible logging at a time when unsustainable and chaotic private commercial logging was liquidating vast acreages of towering virgin white and red pine at breathtaking speed. After clearcutting their lands, the companies abandoned them without paying land taxes, moving on always to acquire, log, and abandon new tracts, a practice termed “cut and run.” A favorite tool of timber barons ravenous for fresh timberland was the fraudulent conveyance of homesteaded lands, a practice that by the late 1890s was diverting hundreds of thousands of acres every year through the hands of the timber companies. Alarmed by what he saw, General C. C. Andrews petitioned the U.S. General Land Office (GLO) to withdraw some of the remaining areas of far Northeastern Minnesota from homesteading. In 1902 the GLO acted on the petition and set aside 500,000 acres of United States land in the Quetico-Superior area as off-limits to homesteading. Later, after he returned from a canoe trip in the Lac La Croix area and petitioned for the withdrawal of additional federal lands from homesteading, the GLO granted two more land withdrawals (in 1905 and 1908), which together protected 659,700 additional acres of U.S. public domain forest lands, lakes and islands – all in an area Andrews considered to be one of the most important and beautiful in Minnesota. The 1,159,700 acres assembled by the 1902, 1905, and 1908 federal land withdrawals provided the foundation for President Theodore Roosevelt’s establishment of the Superior National Forest in February 1909 – which he did largely at the urging of General C. C. Andrews and others. That act influenced Ontario’s provincial government, which was dealing with similarly unsustainable practices, to follow suit in April 1909 by establishing a forest reserve just to the north of the SNF. Four years later that Ontario forest reserve became the Quetico Provincial Park. After his time as Forestry Commissioner, General C. C. Andrews served on Minnesota’s Civil War monuments commission, authoring the commission’s report recommending state monuments in national military cemeteries in Arkansas, Tennessee and Georgia. Brevet Major-General Christopher C. Andrews is buried under an unassuming gravestone at Oakland Cemetery in St. Paul, roughly a mile north of the State Capitol Building. Searle, R. Newell. 1977. Saving Quetico-Superior: A Land Set Apart. Minnesota Historical Society Press. 289 pp. Heinselman, Miron (Bud). 1996. The Boundary Waters Wilderness Ecosystem. University of Minnesota Press. 334 pp. Today is Give to the Max Day, Minnesota's biggest day of giving. Last year, hundreds of you showed support for the protection of the Boundary Waters on Give to the Max Day and we're so grateful. Please give again today and support our efforts to protect this beloved Wilderness for future generations. Give to the Max Day offers an exciting opportunity for those far and wide to give to support the Campaign. Here are stories from longtime supporters to help inspire you. The commitment of Minnesotans to protect the land and waters that are now part of our Boundary Waters Canoe Area Wilderness began in 1902. Every generation of Minnesotans since has been called to this area’s defense. Today’s threat dwarfs them all. Beginning in 2013, business owners, sportsmen and women, and other citizens presented federal agencies with overwhelming evidence of the harm that would be done to the Boundary Waters if sulfide-ore copper mining were allowed in its watershed. So will we allow the destruction of many thousands of acres of these beloved public lands, upstream from the Boundary Waters, by permitting a single-use industrial hard-rock mining district, with the inevitable acid mine drainage that would seriously harm aquatic ecosystems downstream? The watershed of the Boundary Waters is simply the wrong place for this kind of mining. I hope you’ll join me in this fight by making a donation to the Campaign to Save the Boundary Waters today. For 30 years, we have owned and operated Wintergreen Dogsled Lodge and Wintergreen Northern Wear. 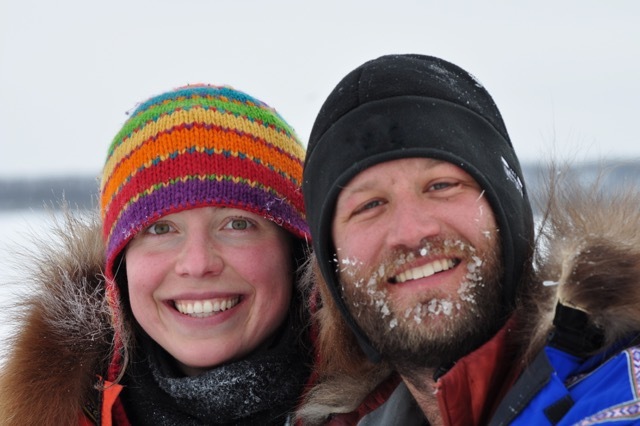 We offer guided dogsled vacations and camping adventures to more than 500 people each year. People come from all over the world to experience the Boundary Waters as a place "untrammeled by humans." Our lodge is just five miles downstream from Twin Metals’ proposed mine sites. It is heartbreaking to think that if metal sulfide mining pollutes the Kawishiwi watershed as it has 40 percent of the watersheds in the western U.S., it will devastate our community and damage the Boundary Waters, our nation’s most popular and beloved wilderness area. With every step and stroke into the Boundary Waters, you can experience the beauty and grandeur of this amazing winter wonderland with the solitude and quiet that you can only truly find in wilderness. Let’s keep it that way. Your donation today will make a difference for this grassroots campaign. 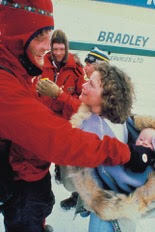 In 1979, as newlyweds, we founded a little wilderness shop on the main street in Ely, Minnesota. We needed a lightweight canoe to navigate our first trip in the Boundary Waters Canoe Area, so we began the company by purchasing two canoes, one for us and one to sell. We’ve spent days in the Boundary Waters without seeing another human being. When we’re away, we dream about the pristine beauty and solitude that has become our home. Not only is canoe country our home, it is our livelihood. The Ely Chamber of Commerce calls our town "The Last Great Pure Experience." The continued success of our community depends on the Boundary Waters remaining pristine. We worry often about new sulfide-ore copper mines harvesting minerals that are far more toxic to the ecosystem than the iron ores of the past century. If the Kawishiwi is turned into a mining district, our visitors will likely seek a more pristine paddling experience elsewhere. If this happens, Ely's vaunted main street of outfitters, mukluk shops and gourmet restaurants could start to look a bit more like the mining towns of the past. Join us in the movement to protect the Boundary Waters; by donating today you’ll double your gift to protect the Boundary Waters. 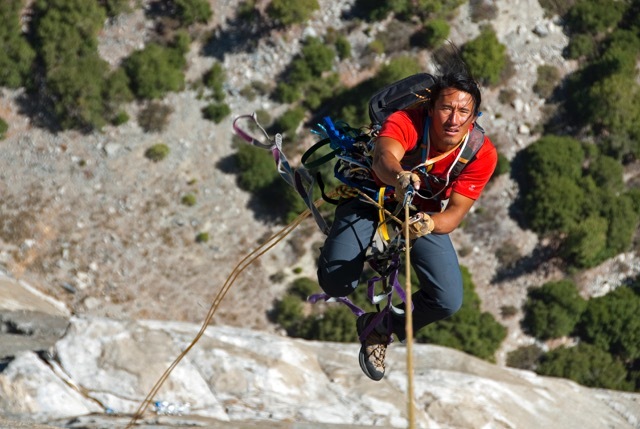 My passion for exploration and photography has taken me on some incredible expeditions around the world, from the first ascent of the Shark’s Fin in Meru, India to the first American ski descent of Mt. Everest. But wherever I go, the Boundary Waters will always hold a special place in my heart. The beauty of the place is in its subtleties; the call of a loon, splash of waves against the shore or the rustle of leaves on a moonlit night. The Boundary Waters is truly a national treasure and one of the most pristine Wilderness Areas in our country. Right now the Boundary Waters is at risk from sulfide-ore copper mining proposed on the edge of the Wilderness. This type of mining would seriously harm our canoe country and the outdoor recreation economy that depends on it. Join me in helping to protect the Boundary Waters from sulfide-ore copper mining by making a donation today. I was born to paddle. I grew up on the banks of the Mississippi River where I cultivated my love for the water and an insatiable curiosity to explore it. I started exploring with my father’s canoe. Later, I used wood-strip canoes and fiberglass models I built as a teenager in my family’s garage. Fifty years ago I founded Wenonah Canoe, and we’ve become the first choice for many people heading into the Boundary Waters Wilderness, one of the world’s premier canoeing destinations. The Boundary Waters is one of the reasons we’ve chosen to keep our business in Winona, MN where we employ 100 people. We’ve grown into one of the world’s largest canoe manufacturers. 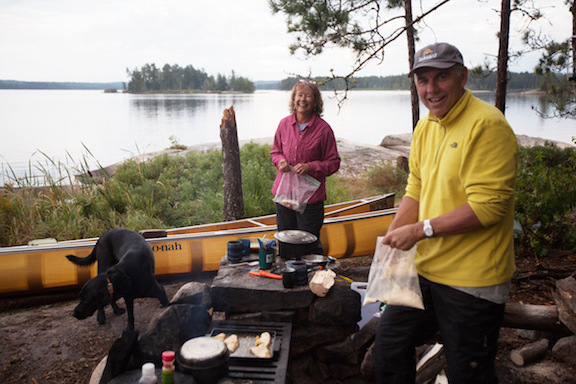 We still convene shareholder meetings at the kitchen table and we visit the Boundary Waters as often as we can. 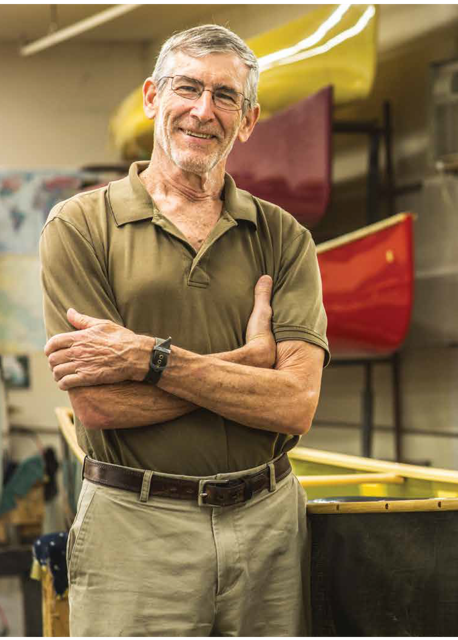 Paddling has been a philosophy and way of life at Wenonah for 50 years, and we plan to keep it that way. Join me in helping to protect the Boundary Waters from sulfide-ore copper mining with a donation today. We’ve spent the last couple months traveling across the country to promote our new book and share stories about A Year in the Wilderness. From talking with decision-makers in Washington, D.C. to Girl Scouts in Nebraska to our neighbors in Ely, it is incredibly inspiring to see so many people rally around protecting the Boundary Waters. While we were in Washington, D.C. a couple weeks ago, we met with Senator Al Franken and many other decision-makers to advocate for our nation's most popular Wilderness. Although we continue to have many allies in our nation’s capitol, we also have strong opposition from the hard-rock mining industry and their allies in Congress. That’s why it is so critical that we all continue to fight for our beloved canoe country. Join us in taking a stand for the Boundary Waters by donating today. Your gift will help us continue our advocacy for the Wilderness. If you donate $500 or more, the Campaign to Save the Boundary Waters will send you a copy of our new book, A Year in the Wilderness! Thank you to everyone who have given to support the Campaign to Save the Boundary Waters. Please consider giving today! You can be part of this incredible legacy of Boundary Waters defenders by making a gift today to the Campaign to Save the Boundary Waters. Beginning in 2013, business owners, sportsmen and women and other citizens presented federal agencies with overwhelming evidence of the harm to the Boundary Waters if sulfide-ore copper mining were allowed in its watershed. Minnesotans understand that we cannot afford to get this wrong. Will we continue Minnesota’s commitment that began more than a century ago and take steps to ensure that the Superior remains a healthy multiuse National Forest? Or will we allow the destruction of thousands of acres of these beloved public lands, just upstream from the Boundary Waters, by permitting a single-use industrial hard-rock mining district, with the inevitable acid mine drainage that would seriously harm aquatic ecosystems downstream? The watershed of the Boundary Waters is simply the wrong place for this kind of mining. We must do what Minnesotans before us have done: defend the wilderness.